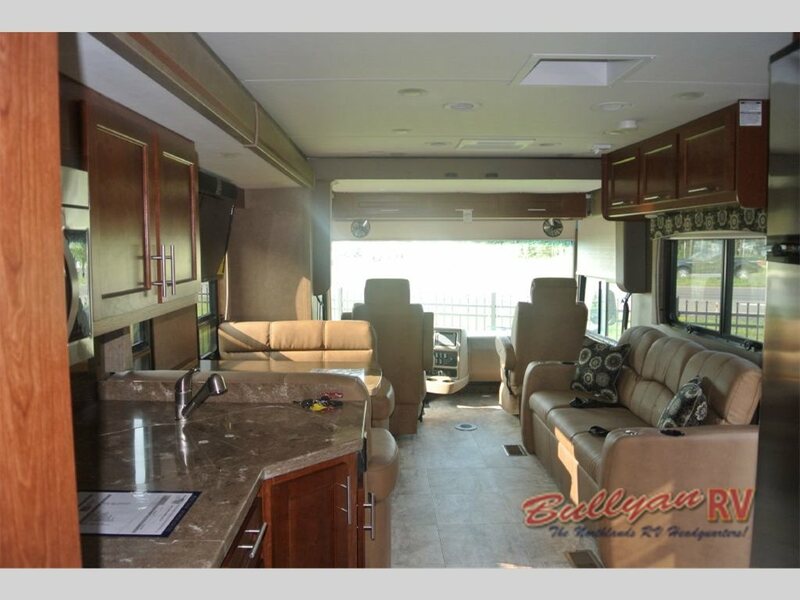 Don’t miss your chance to get an amazing deal on a Class A Diesel Motorhome with a ton of features at an amazing price. 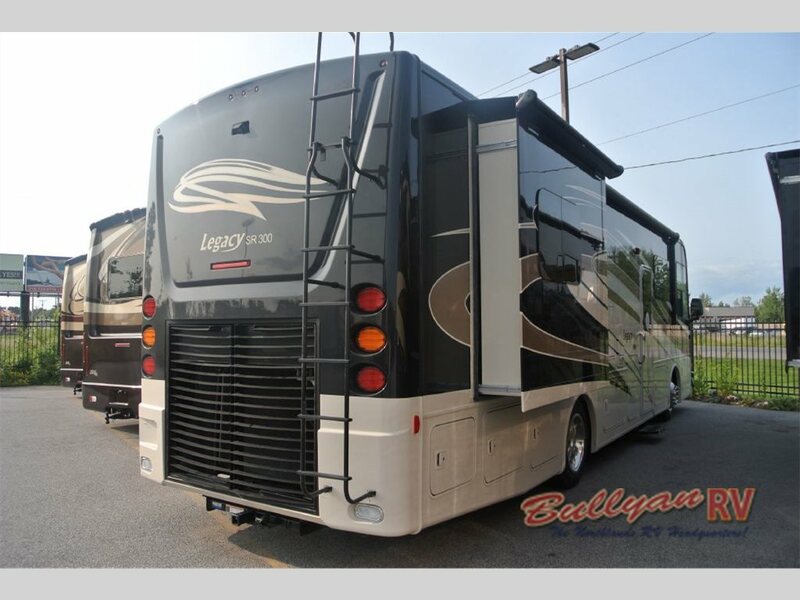 Here at Bullyan RV, we only have one Forest River Legacy SR 300 340KP Diesel Class A Motorhome left, and she’s a beauty! For the price of a gas motorhome, you can be the proud owner of the diesel pusher you’ve always wanted. Now, you can be king of the road in style. The Legacy 340KP floorplan offers two slides, one of which spans the entire living area, giving you more room to relax and unwind. Enjoy all the comfortable amenities that go above and beyond other vehicles in it’s class. From the outdoor entertainment option including TV, to a stack-able washer and dryer, you have everything you need to feel right at home while traveling. The Freightliner Chassis and Cummins 340 HP engine allows for a comfortable ride so you can enjoy the landscape drifting by your panoramic view of the road. This amount of power enables the Legacy to be equipped with a 10,000 lb trailer hitch with a 5,000 lb capacity so you can tow another vehicle or cargo trailer without a problem. 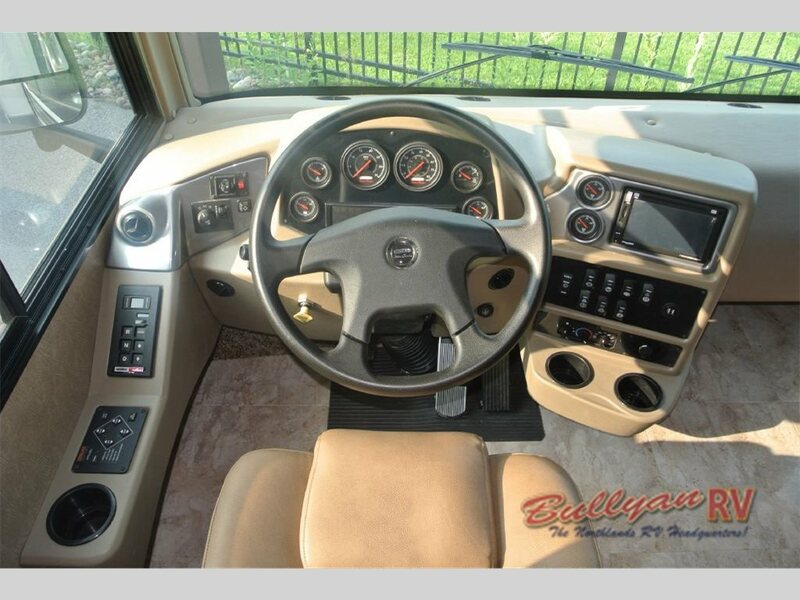 Now is the perfect chance to put yourself in the driver’s seat of this amazing diesel pusher. With only one Legacy left in stock, it’s up to you to take advantage of this spectacular deal before someone else does. 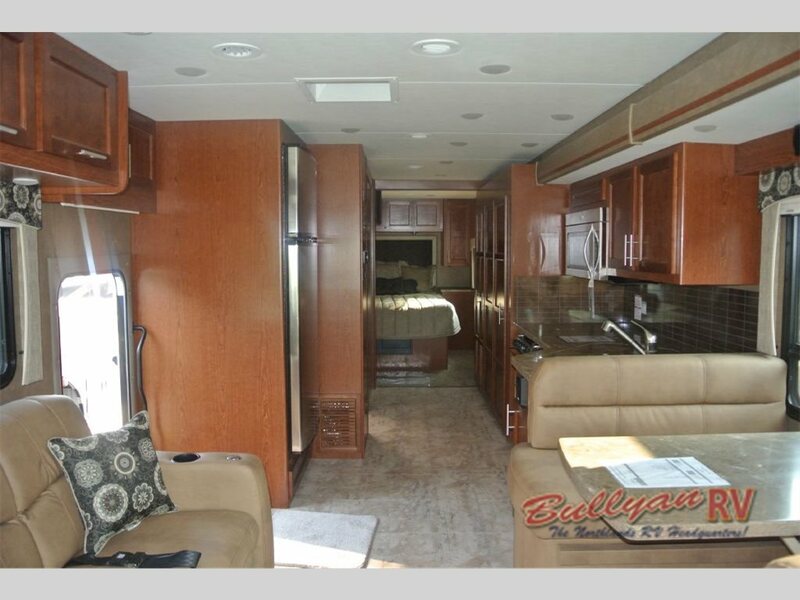 Contact Us at Bullyan’s RV for more information about the Forest River Legacy 340KP Motorhome. Take a test drive today!